Up, up and away! Using an Elks National Foundation Beacon Grant, Elks from Van Wert, Ohio, Lodge No. 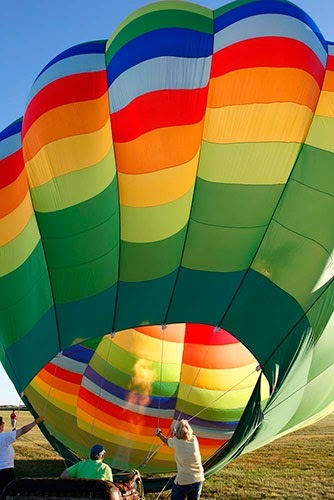 1197 partnered with the Van Wert hospital, local senior homes, local support groups for people with disabilities, and the Van Wert Regional Airport to provide hot air balloon rides for community members with special needs. 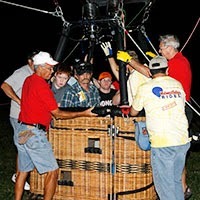 The Elks stayed grounded, helping riders in and out of the wheelchair accessible balloon and offering food and friendship to guests. Thanks to the Beacon Grant, the Elks were able to connect with local organizations and give community members in need an uplifting, memorable experience.